Recycle Utah wants to offer continuous glass recycling for Summit County. The nonprofit organization has recycled glass on and off for the past 24 ½ years, and would like to make it a permanent service. The trick, however, is the logistics. A simple tweet opened a whole new possibility for recycling in Utah Valley this week. Acting on the request of residents, Pleasant Grove has started what is believed to be the valley’s first glass recycling program. Utah Valley as a whole has been slow to adopt such an effort, which has been available for a couple years in Salt Lake County and Park City. WEST VALLEY CITY — The city has partnered with Waste Management of Utah and Momentum Recycling to provide a drop-off location for glass. The drop-off bin is located at the West Valley City Public Works building at 2805 S. 3600 West and is accessible seven days a week beginning Saturday, March 1. SALT LAKE CITY — The city’s new Public Safety Building is the first building of its kind in the country to earn a “net zero” energy rating, meaning it generates as much energy as it uses. Open for just a few months and home to the city’s police and fire departments as well as emergency dispatchers, the 174,000-square-foot building features a roof canopy of solar panels, an off-site solar farm and takes advantage of natural lighting with abundant and strategically placed windows. A facility that will dramatically increase the glass recycling capacity in Salt Lake City had its grand opening Thursday. Community leaders attended opening ceremonies for Momentum Recycling at 658 S. 4050 West. “Our partnership with Momentum Recycling has expanded our ability to recover our glass in a sustainable manner that keeps resources local,” the city’s recycling program manager, Debbie Lyons, said in a news release. 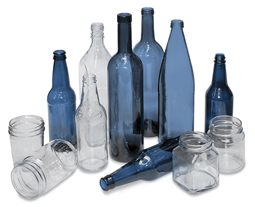 SANDY — The city is now accepting glass bottles and jars for recycling. Items can be dropped off at Sandy City Public Works, 8775 S. 700 West. This service is available Monday through Friday from 7 a.m. to 4:30 p.m.